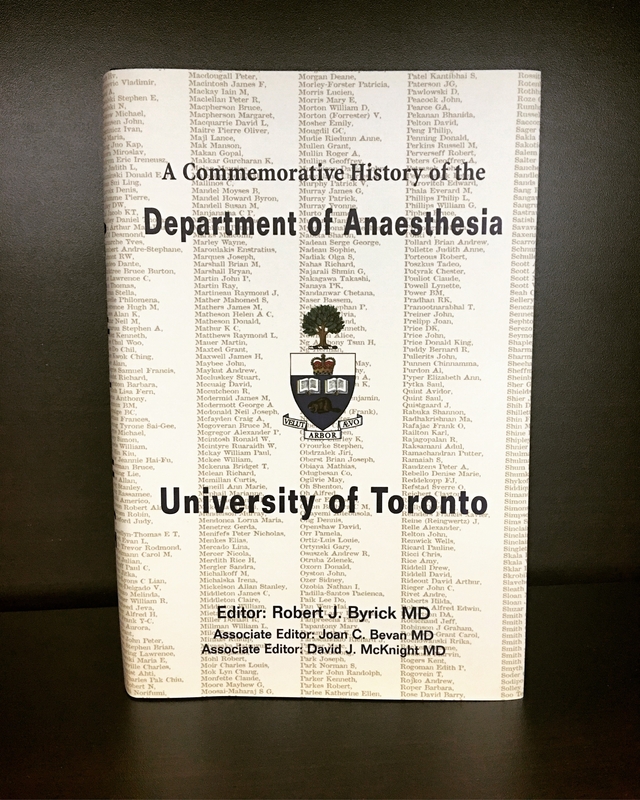 2001 marked the Department of Anesthesia's 50th year as a formally designated department at the University of Toronto. The rich history of the department has been documented as a collection of memoirs and other documents in A Commemorative History of the Department of Anaesthesia (2004). Edited by Robert Byrick along with Joan Bevan and David McKnight, the volume chronicles the history of the Department of Anesthesia and the Faculty of Medicine from its origins as King's College through to the present emphasis on education and research. While the full contents of the volume are no longer available online, several hard copies are available for individual distribution. Please contact anesthesia@utoronto.ca if you would like to obtain a copy.